So much to see, such a good time, and not enough photos. Sean and I may just need to pack our bags and leave for the Pacific Northwest for good. Here are just a handful of photos from our trip this summer. Multnomah Falls because did you even go to Portland if you didn't see the falls? 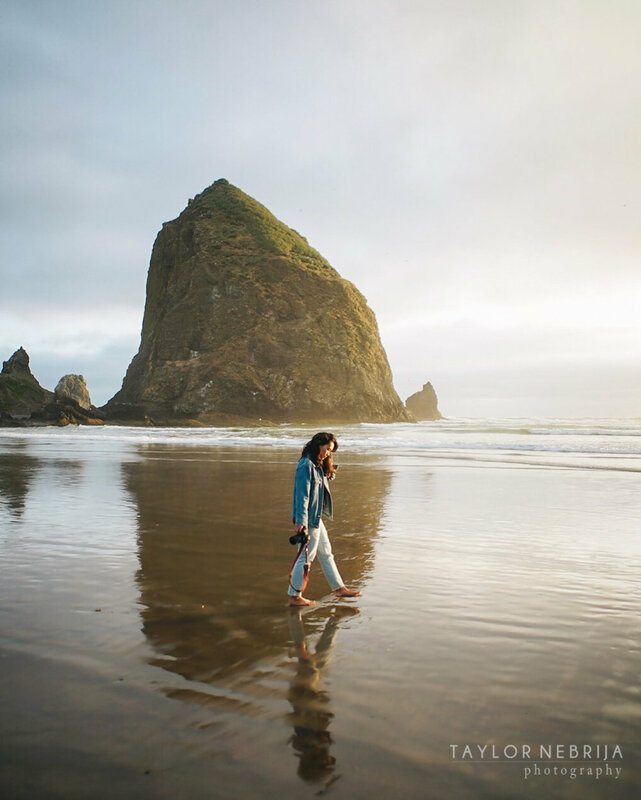 A stroll along the beach at hazy Manzanita, then running around barefoot during sunset at Cannon Beach. Haystack rock at sunset was my favorite site in Portland. There's so much satisfaction in sticking your toes in the sand and ocean spray. Coffee, coffee, coffee! According to Portlanders, they've got the best cup of Joe. Sean kept cheesin', so I couldn't disagree. 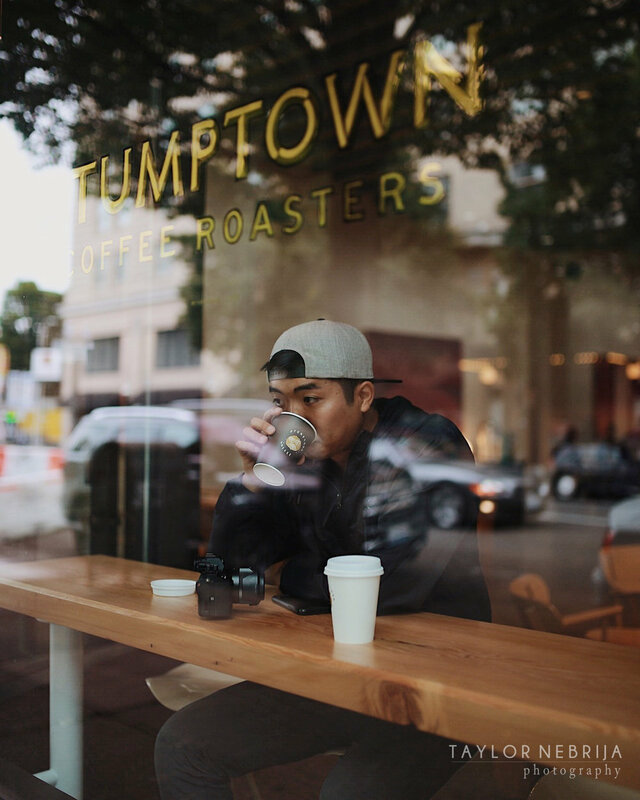 Stumptown (yes, the best) and hip coffee shops like Coava make mornings worthwhile. Pitstop at Portland's Rose Test Garden. When great light creeps over, you should definitely make the most of it by taking too many photos. Crispy shots of a typical lazy-lookin' Taylor by the main man himself, featuring some pretty white flowers – one of five photos on my drive from the garden. Seattle's got the goods. As in seafood, coffee, beaches (sort of), and views. We started off our Seattle tour at Public Market's first ever Starbucks at Pike Place, ate rock fish and halibut sandwiches with some type of rosemary aioli that made all of me tingle, and then made our way to the Space Needle...because again – did you even go to Seattle without going to the Space Needle? Gloomy never looked so good.